Were you injured because of someone else’s carelessness? You have a right to financial compensation, and a South Jordan personal injury lawyer can help you recover every penny you’re owed. If a serious injury suffered in an accident has left you unsure of what to do next, know that you have options available. You don’t have to shoulder the medical bills, lost income, and pain and suffering uncompensated; instead, you have the right to file a personal injury claim if someone else was at fault and recover the full cost of your damages. There are a number of pitfalls and hurdles involved in this process, however, and any one of them could potentially leave you undercompensated and taken advantage of. To avoid this and bring your claim to a successful resolution, work with a South Jordan personal injury lawyer from Craig Swapp & Associates. Did Negligence Cause Your Catastrophic Injury? While there are a handful of possible exceptions, the general rule is that if your injuries were serious and someone else was at fault, you have the right to seek compensation. Our firm has a wealth of experience handling claims for all accident types, and we can investigate to determine who was at fault and build a case to prove your just need for compensation. Motor Vehicle Accidents – Crashes involving passenger cars, 18-wheelers, motorcycles, and buses cause thousands of injuries every year, and some form of negligence is almost always involved. While Utah’s no-fault insurance system might apply to your case, we’ll be able to help you determine if you have the right to proceed with a personal injury claim. Defective Products – Product liability laws obligate manufacturers and retailers to only produce and sell products that are safe for use. When an injury or illness is caused by a defect, they become responsible. Premises Liability – Slippery surfaces, broken stairwells, dangerous dogs—these are all examples of property hazards that might lead to an injured visitor if they aren’t attended to. Property owners have a legal obligation to keep their buildings and grounds safe. Workplace Accidents – From construction work to desk jobs, you might have options beyond workers comp if you get hurt on the job. If willful negligence, malice, or an outside third party were involved, you might be able to seek the full compensation provided by a personal injury claim. Your South Jordan personal injury lawyer will make certain that the compensation you receive fully covers all of your financial expenses and lost quality of life. The negligent party’s attorney or insurance company is likely to make you an offer to settle, but you can count on this initial offer to fall far short of the full value of your injuries and losses. 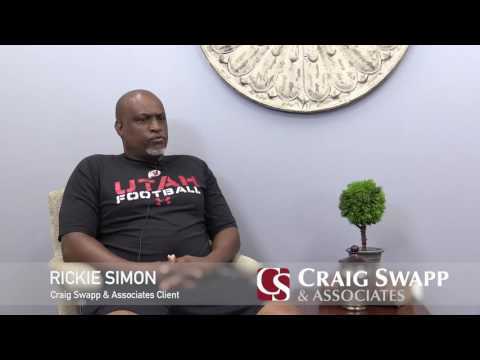 Craig Swapp & Associates can help you recover maximum compensation for your serious injury claim. Don’t gamble with your future; get help from an experienced law firm that can get the best results. Schedule a free consultation with a South Jordan personal injury lawyer by calling 1-800-404-9000 or by completing the contact form on this page.